I've started running just this week, and I've been adding one minute to my workout each day. Now I'm up to 25 minutes, 10 of which are running. I'm trying to be able to run for thirty minutes, but the program on this site seems to go very slow. I'm wondering what my next steps should be. Should I continue to add a minute each day or should I plateau at some point? Thx for your running training question. The beginner running programs are for absolute beginners, people who would not be able to cover off 25 minutes of training in their first running week. There is a reason they build up slowly. Enthusiastic, beginning runners can sometimes do too much, too soon. This can lead to injuries. Therefore I recommend you take it easy with the build-up. It looks like I don't need to tell you that though as you have been doing a good small increase of one minute per workout. With your training build-up, there are different things you could do. I would definitely recommend having a look at the structure of the beginner running programs on my site. See how they gradually increase exercise/running time. 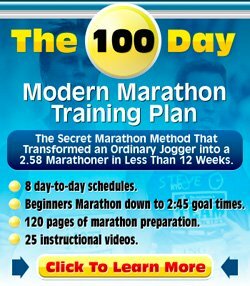 You could start Beginners Running Program 3 at a point that seems best for you, like week 5 and go from there. You could even skip a week in between (so go from week 5 to week 7) if you feel it is still going too slow. Also have a look at my more general page about increasing mileage. It provides some general guidelines on how to increase your running time and, you might notice it when you read the page..., the number one rule you need to follow: learn to listen to your body. Increasing a minute to your workout every day may, at this moment, not be too much of an issue. At some point though, and this point is different for everyone, you will find that it is better to not increase the length of every workout with a minute. You may then want to apply the hard/easy principle as I do with my training. One day can be a 10 mile tough run for example, but I would then make the next day a slow and easy recovery run of only a few miles. I hope this provides you with enough help.